Smartphones are the ideal way to access the Internet on the go, but when you want to connect more WiFi device and help a friend to access internet, things seems bad. In these cases we have to use a mobile hotspot, which provides quick access to the Internet for more than one device at a time. This time I am getting to know more detail of ZTE MF91D 4G LTE Mobile Hotspot that could connects to the Internet via a super fast LTE/4G network. Last time we introduced the 3G HSDPA access point ZTE MF80, which is quite similar to the new version. Of course, the main difference is that the model MF91D hotspot is for LTE/4G network. At first glance, ZTE MF91D Hotspot reminded me those nice rounded tip cell phones, which were quite common and popular one. 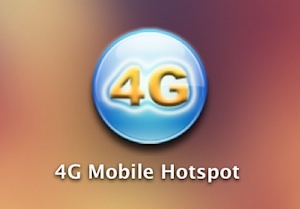 The 4G hotspot is pleasant, easy to stow in the pocket. The front side has a simple square color display that shows the status of network connection. Below the screen is a big button, when working, it flashes of blue light. On the left side we find a slot for microSD memory card at the side the MicroUSB connector for charging. On the other hand, there are two connectors for external antenna and in the middle of them, there is a WPS button. ZTE MF91D is made of plastic, when first use, remove the back cover and the battery, below is the slot to insert the SIM card of normal size. To access and use the access point ZTE MF91D, computer could get connected through the USB cable or do a wireless all together. In the first application, the easiest way is by using the cable, especially if you’ve got a new SIM card that is locked with a PIN code. When connecting to a computer, your MF91D hotspot offer installation of software that simplifies the process of setting and place a shortcut to the settings page (we checked it also works on Mac OS X). Usually, the MF91D hotspot could auto configure and get connected after SIM card is plugged in. Once you have your device connected to the access point, either via cable or via WiFi, you could open a web browser by typing the title http://m.home/ or http://192.168.1.1 (the default password admin ). On the home page, you have an overview of the various settings links and an overview of the data usage. If you do not have special requirements, you can leave most of the settings alone, but usually you need to change your password to something that you will easily remember. Advanced users could setup detailed security and configure network settings. In general Wi-Fi settings, you can define the maximum number of connected devices. Hotspot ZTE MF91D supports up to 10 devices simultaneously. In the past few days, I’ve tested ZTE MF91D access point in different situations. I tested it in the open air, in a meeting with two laptops and smart phones, when at home, up to six devices get connection at the same time and each time the Internet works fast without interruption. Speed is of course just like cellular phones, it depends on how far you are from the base station. The occupancy of cells can affect the signal quality. The battery should support 6 hours of continuous use, which was confirmed by my tests. If you use the mobile internet mostly with your smartphone, you probably do not need mobile access point. If you often find yourself on the road even with a laptop or tablet without a SIM card, the ZTE MF91D 4G hotspot is more attractive choice because it has a relatively long life battery, and it is extremely easy to use. It can be used even in small office or home to connect multiple users at the same time, it supports up to as many as 10 devices at a time. What is most attractive, ZTE MF91D could support maximum download speed up to 100Mbps, so any connected users could surf internet in very high speed. 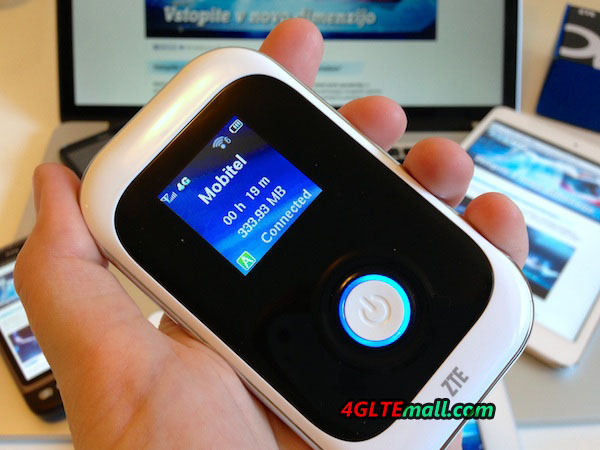 Of course, there is not only ZTE MF91D 4G LTE Mobile Hotspot, many other brand 4G Mobile Routers are available, welcome to check more on 4gltemall.com .